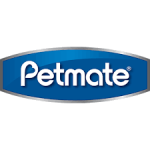 Petmate is a retailer that focuses on pet products, pet bedding, pet supplies, pet kennels, and much more. You can sign up for their email newsletter. Doing so offers not only information on future sales and new releases, but it can also earn a number of special offers. You will almost certainly receive a special offer just for signing up. Their website breaks things down into a special section for dogs, a special section for cats, and then products for birds and other small animals. You can also shop for items according to specific brands, such as Arm & Hammer or Fat Cat. Free shipping is included with orders of forty-nine dollars or more.